Drupe Almond Milk is not only a decadent substitute for milk but it is also a great source of Protein, Antioxidants, Vitamin D, Potassium and Calcium. It’s very nutritious and easy to digest. An Healthy Beverage Choice! Do you know humans are the only mammals that drink milk after nursing? We’re obviously also the only mammals that drink from other mammals too! Drupe Foods India Pvt. Ltd. has spent years in research. Human body does not need lactose milk, though fermented milk (yogurt & cheese) is ok to consume. We went back in History and understood the reason behind most of the grandmothers in ancient days soaked seven “almonds” overnight. They did so to help the brain stay alert. We at Drupe LLC, USA and Drupe Foods India are a self-funded registered start up under innovation. Our expertise lies in manufacturing of healthy food & Beverage. Especially vegan range of products. We are equipped to export, across the globe. She has spent the last ten years bringing International brands such as Madam Tussauds and Marks & Spencer to India. She has played an integral role in launching, strategising and creating loyalty for brands in India. Aneesha is the New product research & development head. Aneesha in her personal capacity is an actor, ballerina and a stand up comedian. Samveg Sharma is the Plant Manager and manages a full team and production on his own. He is the star team member and the backbone of the company. Drupe Almond Milk is not fortified as its 100% natural. Fortified products are synthetic and equivalent to consuming medicinal vitamin pills. Drupe Almond Milk is available in Tetrapak or bottles? Drupe Almond Milk is available in CPP bottles. CPP is the raw material used in manufacturing infant feeding bottles. These bottles have zero migration when steamed not damaging the product nutrition. Tetrapak packaging requires high temperature pasteurization, hence the natural nutrition of the product evaporates. 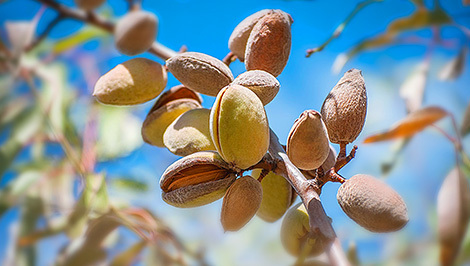 How does Drupe Almond Milk get its shelf life? Drupe Almond Milk is sterilized post filling, at a temperature where natural nutrition stays intact. The induction sealing of the bottle also help maintains the shelf life. It is made from fresh almond past and mixed with alkaline water, which helps maintain the product PH level . Drupe Almond Milk has No preservatives. Drupe Almond Milk is high in Calories? Drupe Almond Milk has 16-24 calories and is extremely low fat, easy to digest. It is available in 200ml bottles, 4-5bottles can be consumed daily for maximum health benefits. Why is Drupe Almond Milk less creamy than Silk and other available brands in the market? Drupe is manufactured in India and is not imported, hence extremely fresh. No thickening agents are added in Drupe Almond Milk. Just like the soup at home is thinner than the soup available in a restaurant. Is Drupe Almond Milk tasty and healthy for children? © 2019 Drupe Almond Power Milk. All Rights Reserved.